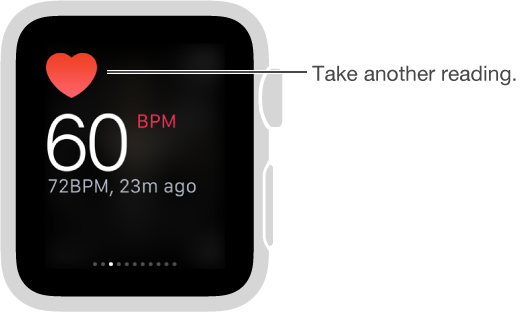 See your current heart rate. 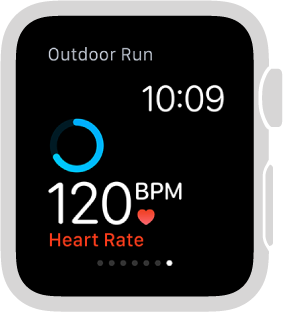 Swipe up on the watch face, then swipe to the Heartbeat glance to measure your heart rate and see your last reading. Tap the heart in the glance to take a new reading. Check your heart rate during a workout. Swipe the lower half of the Workout progress screen.